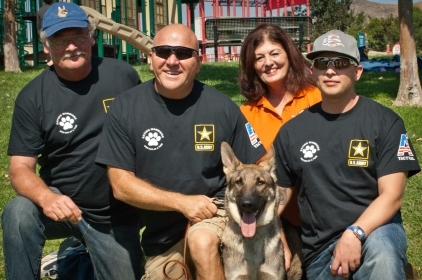 In a FIRST for GSROC, we have helped to match a wonderful working dog named Beau, with a wonderful former Army Sergeant who sustained combat injuries while serving our country. On Saturday, October 12, Sgt. Brandon Tennery met Beau for the first time and the two bonded instantly. Beau will help provide Brandon with the support and companionship that he needs to manage PTSD and other conditions related to his injuries. Beau and Brandon were the first of what we hope will be many similar match ups that we will make in conjunction with the wonderful group Rebuilding Warriors. Beau and Brandon are off to start their new adventures together. Whatever they encounter in the future, they will be side-by-side. Thank you to all of the volunteers who made this amazing mission possible!